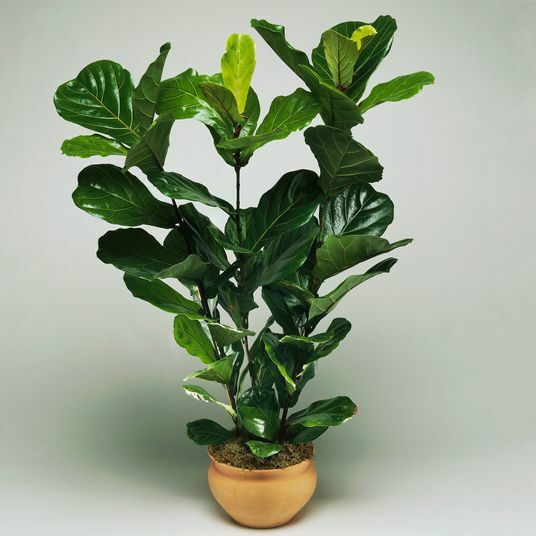 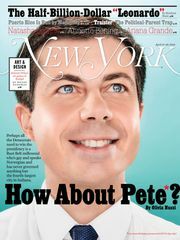 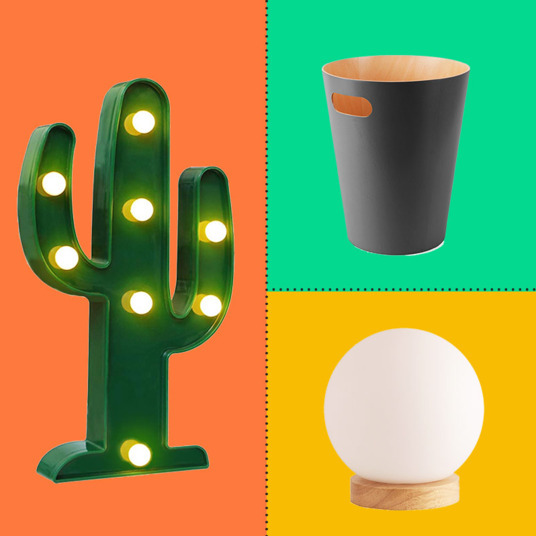 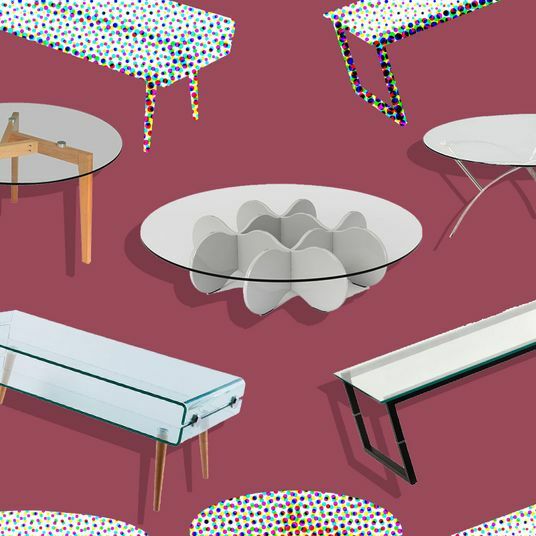 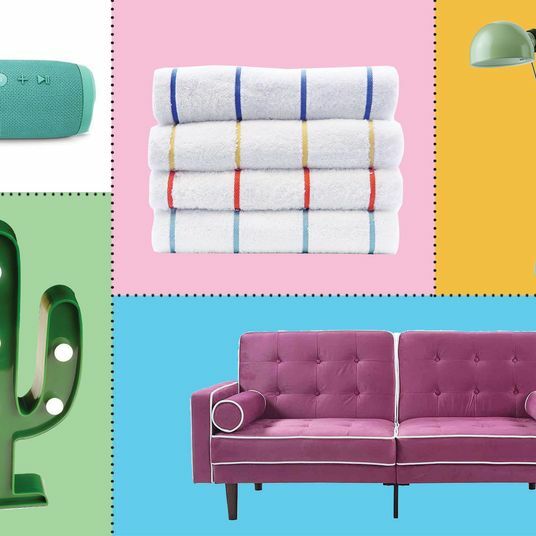 Nursery décor can be pricey, which feels especially silly given that it’s a somewhat impermanent addition to your home. 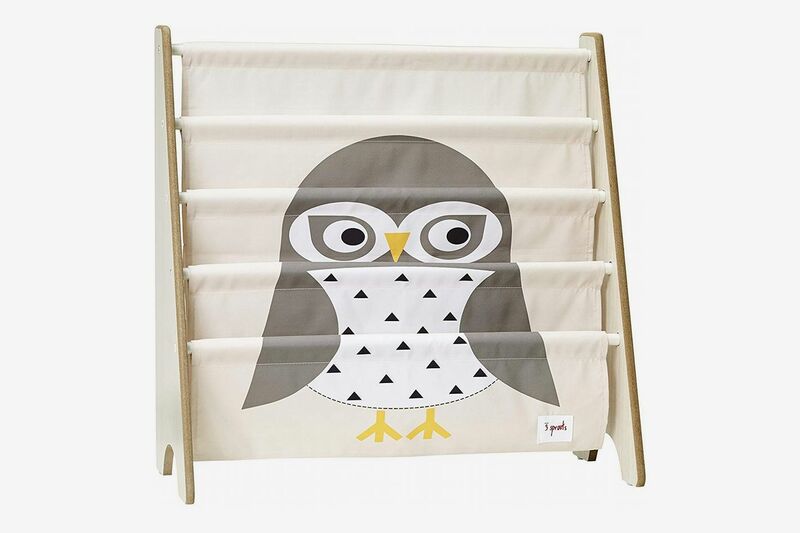 Before you know it, your mewling babe is a rowdy toddler, and the crib must be replaced with a bed. 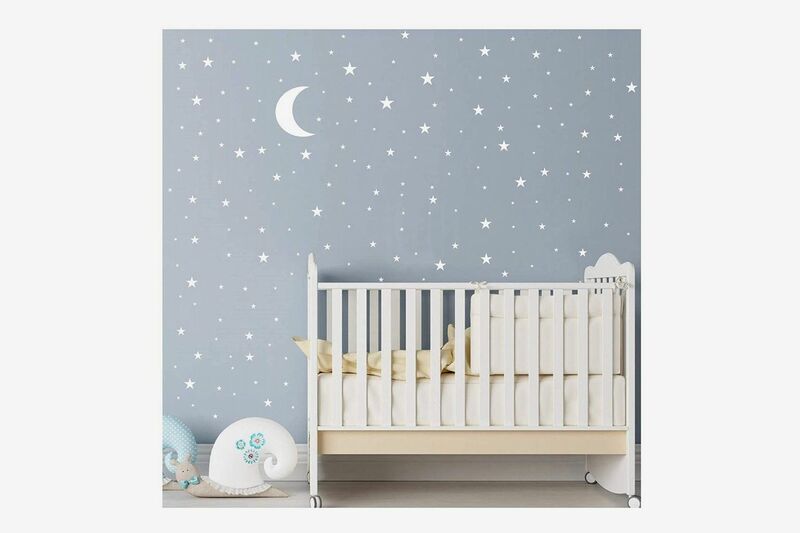 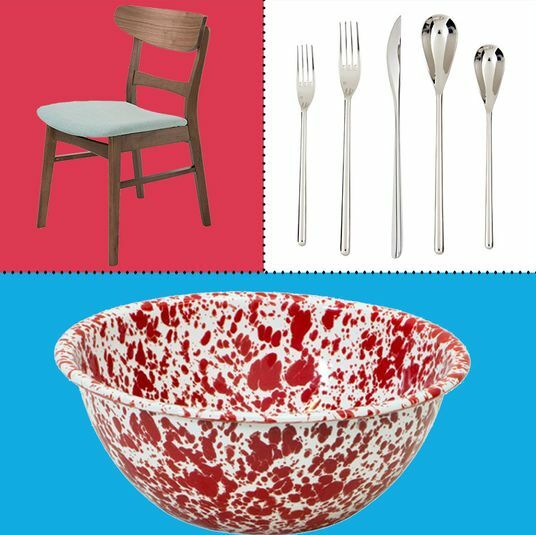 So, while we’ve dug through Amazon to find the best affordable décor for the bathroom, bedroom, living room, kitchen, and kids’ bedroom, we’ve now done it for the nursery. 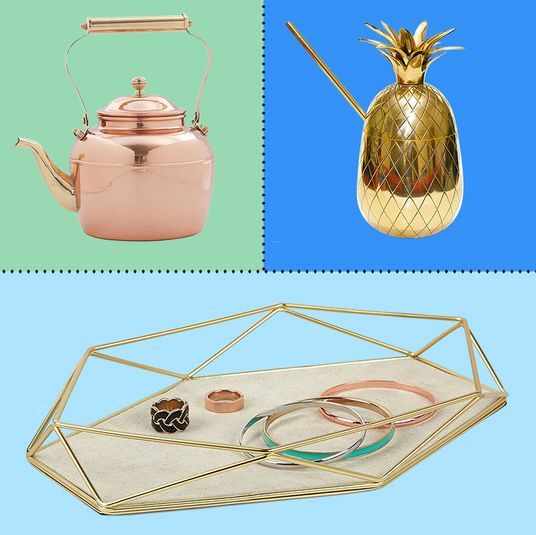 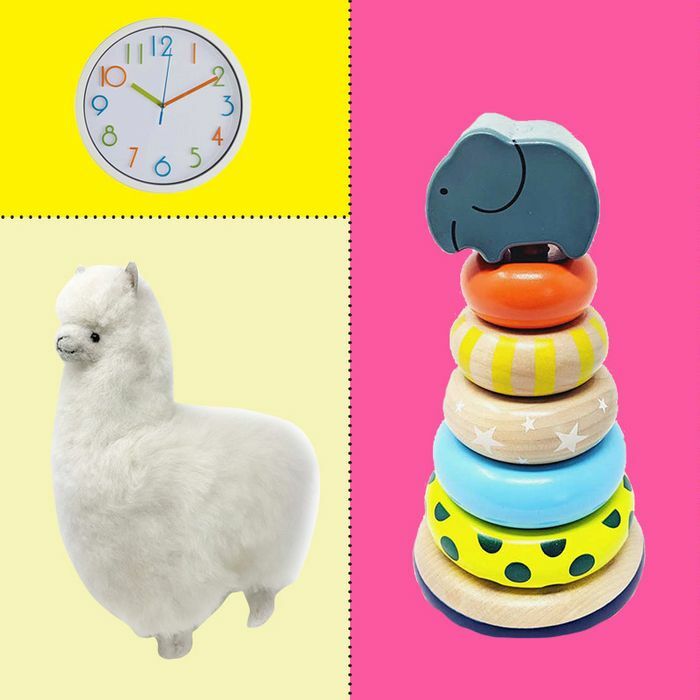 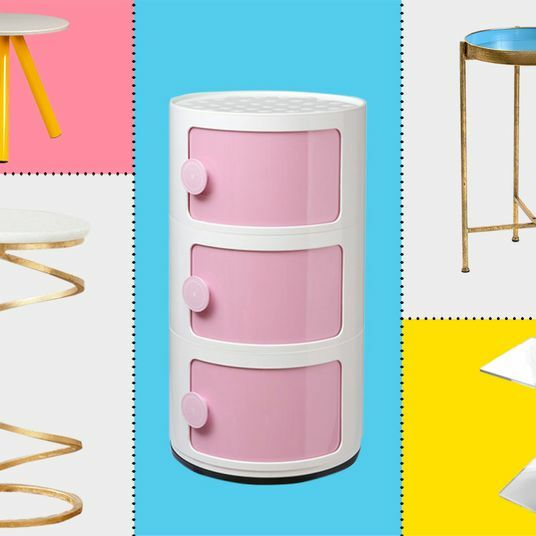 Below, a bunch of adorable décor items to decorate your baby’s room, for those on a budget. 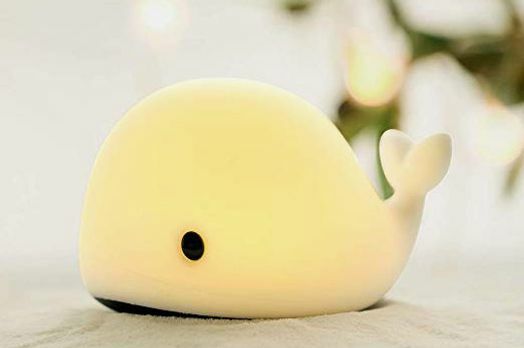 A cute dolphin to light up the night. 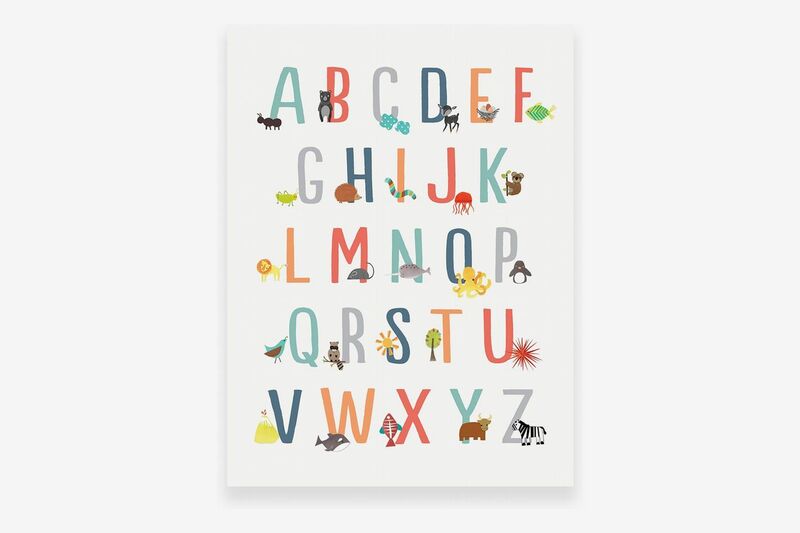 A sweet alphabet poster with baby animals. 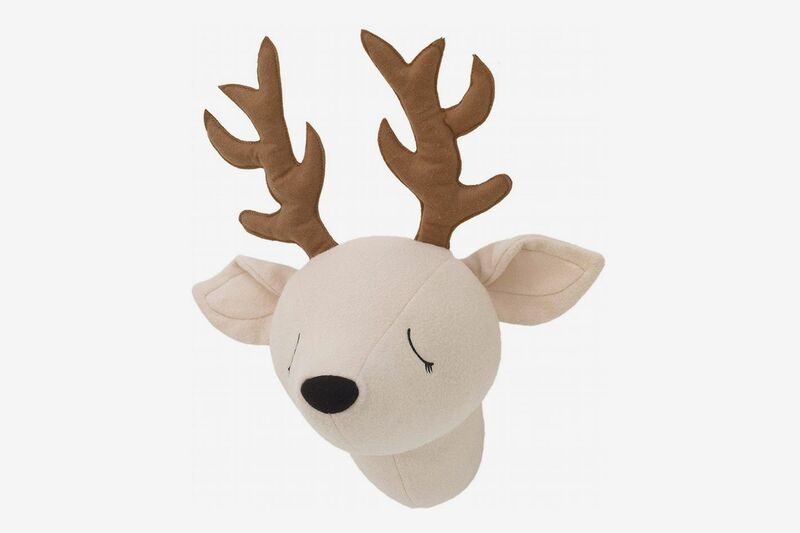 A delightfully fuzzy take on taxidermy. 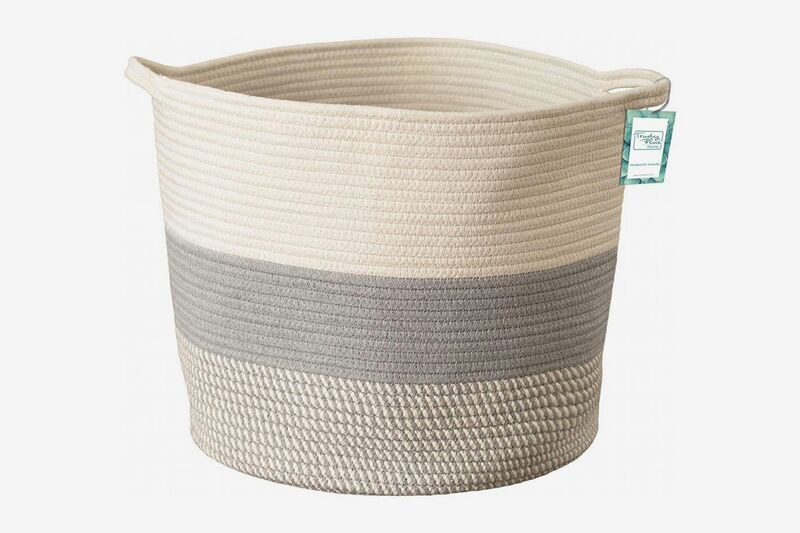 This large cotton rope basket is chic enough to go from room to room. 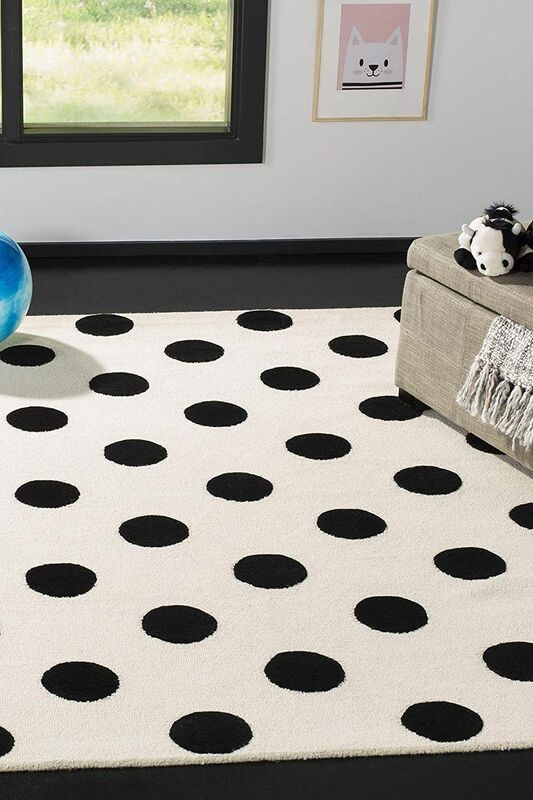 For the tiny Yayoi Kusama fan. 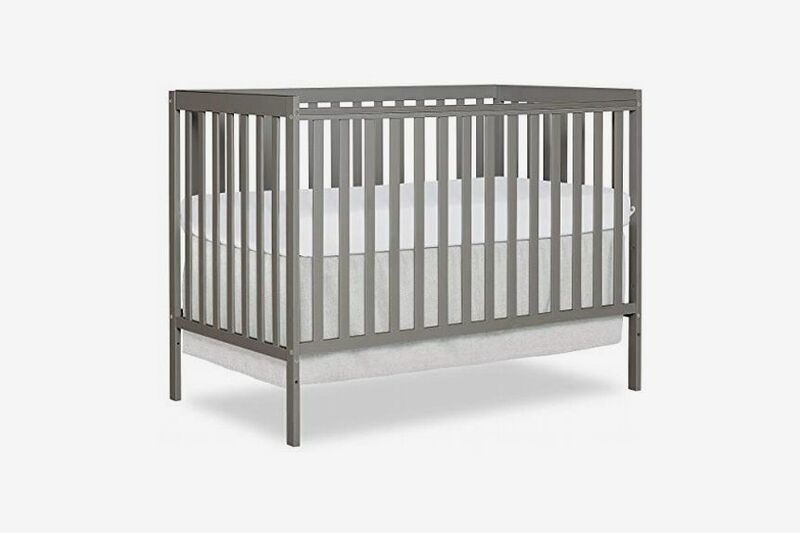 This extremely affordable crib also comes in sky blue, emerald green, coral pink, lavender, white, and black, so there’s a color to match any theme. 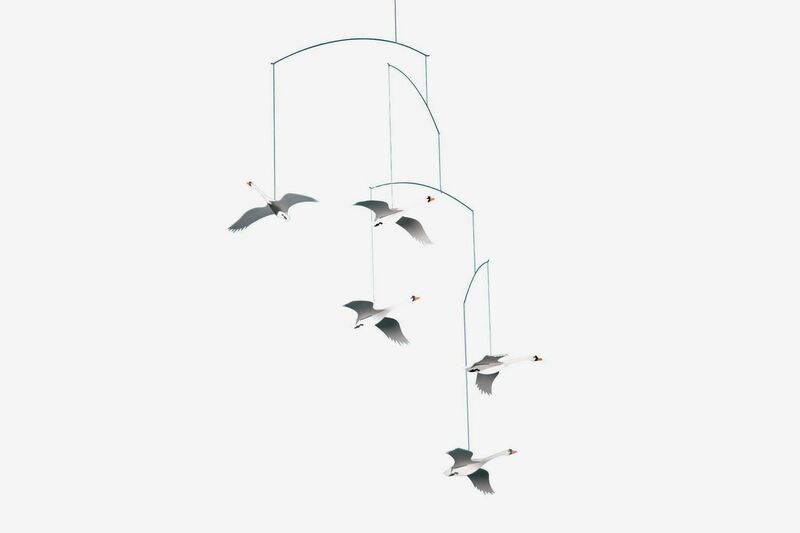 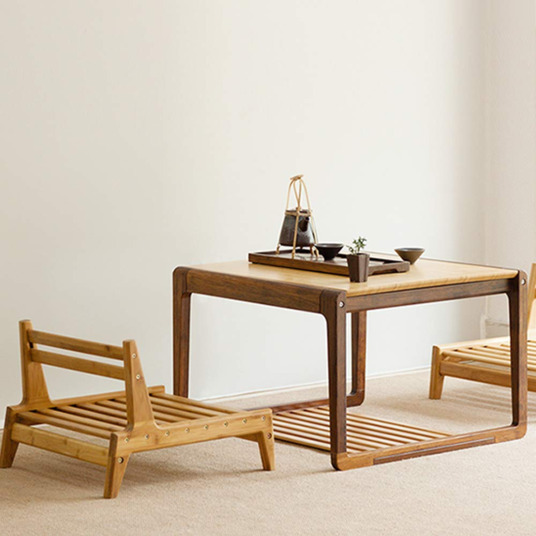 Handcrafted in Denmark by Flensted Mobiles. 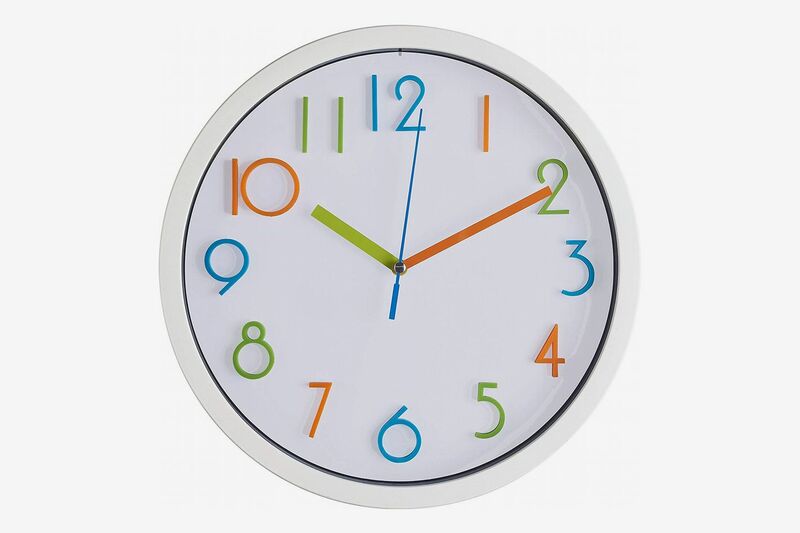 This non-ticking clock is (blessedly) silent. 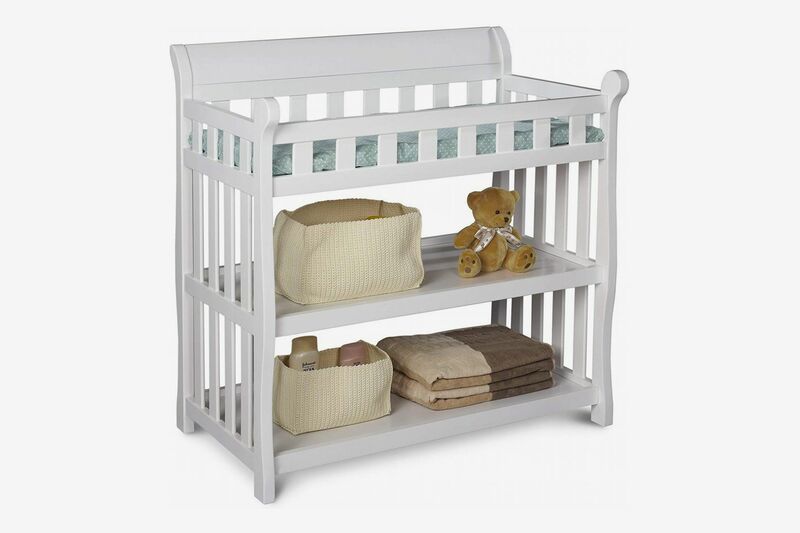 This changing table also has exposed shelves that can be used for both storage and display. 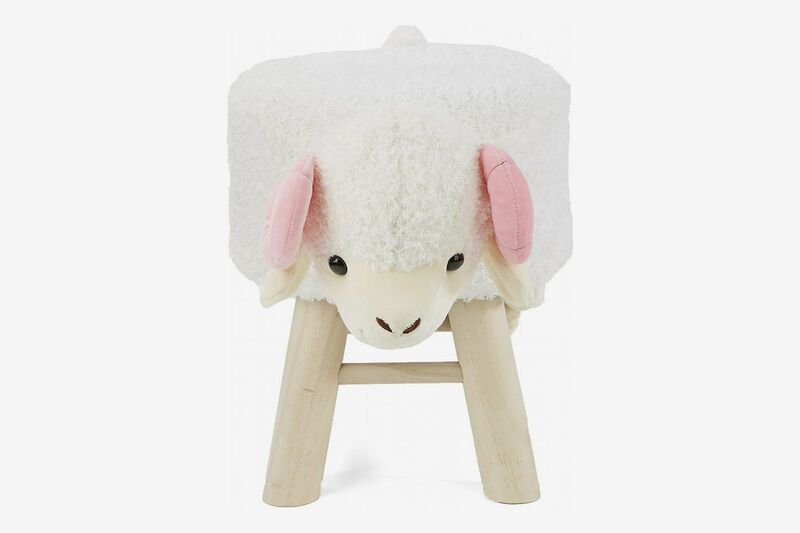 If your dogs are barking, why not rest them on a sheep? 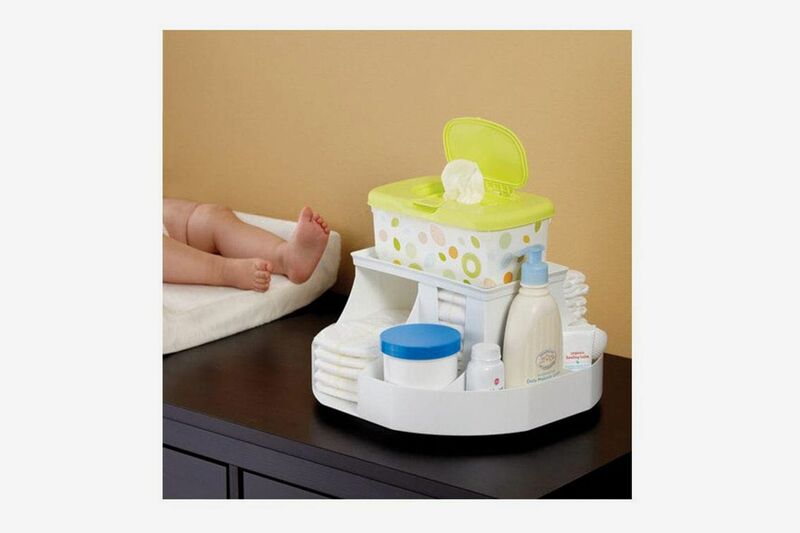 Like a lazy Susan, but for diapers. 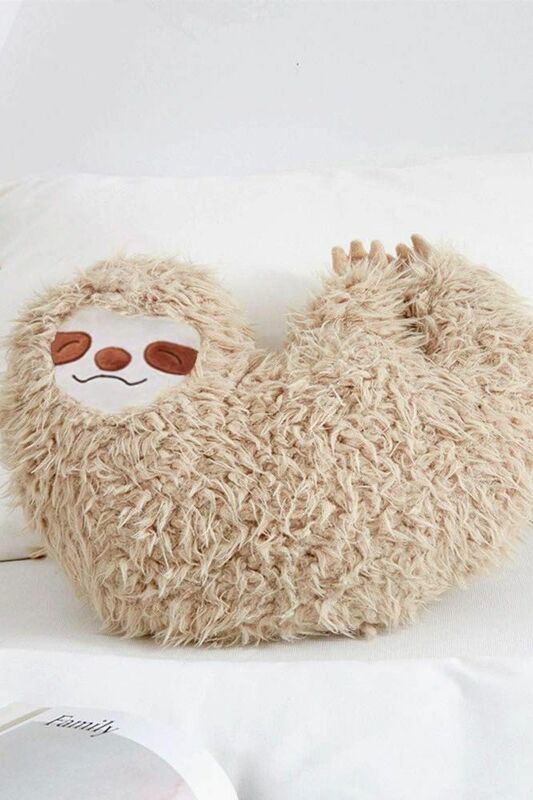 This sleepy sloth is almost too cute. 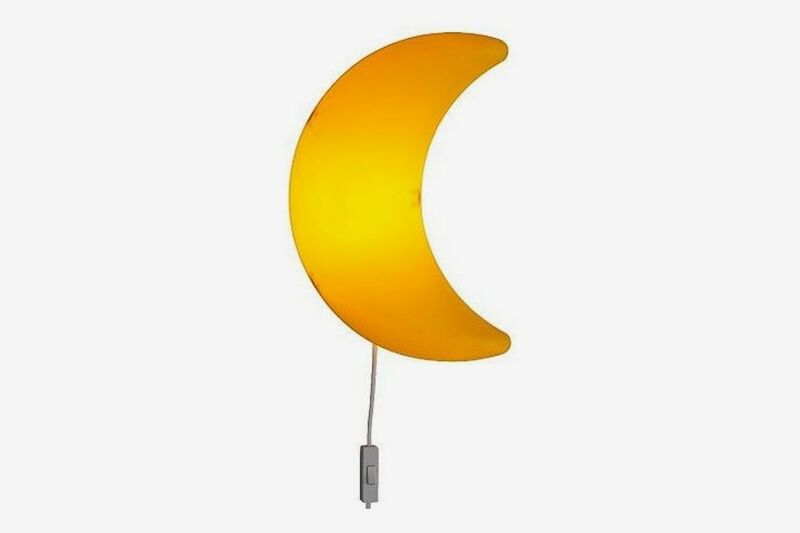 Easy-to-apply and even easier-to-remove vinyl wall decals. 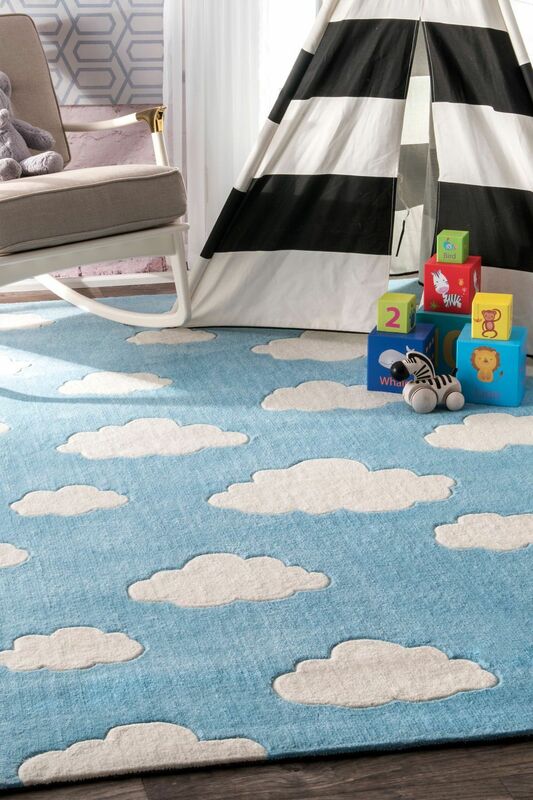 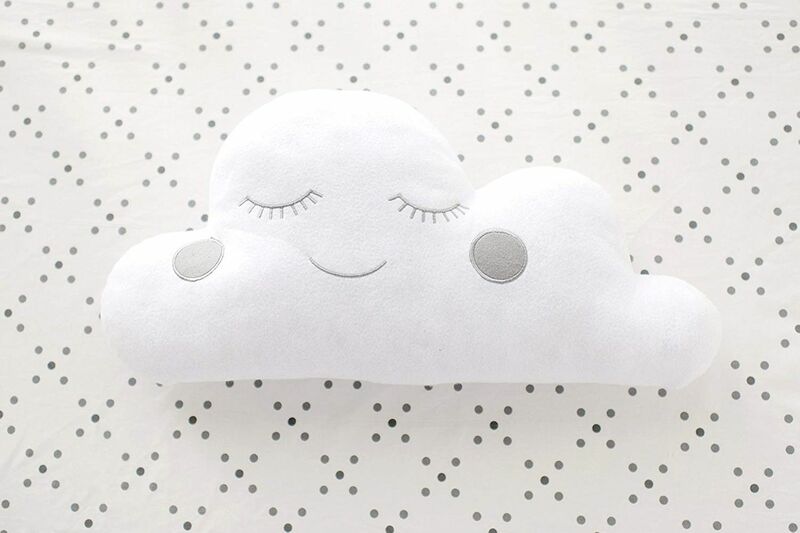 A chill cloud that would look right at home on a rocking chair. 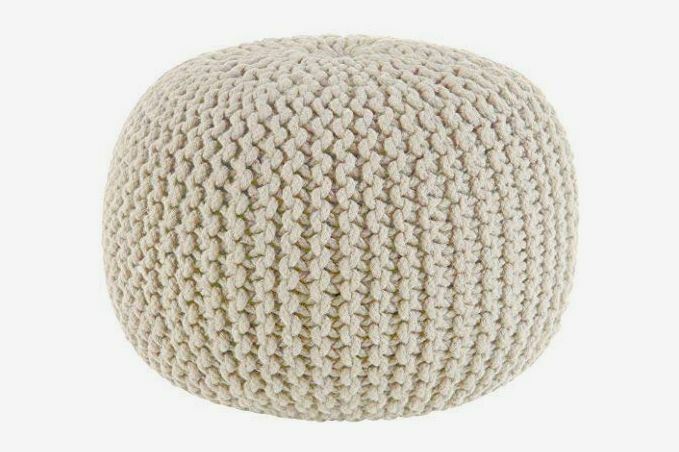 This versatile pouf can serve as a foot rest, a stool, or seating. 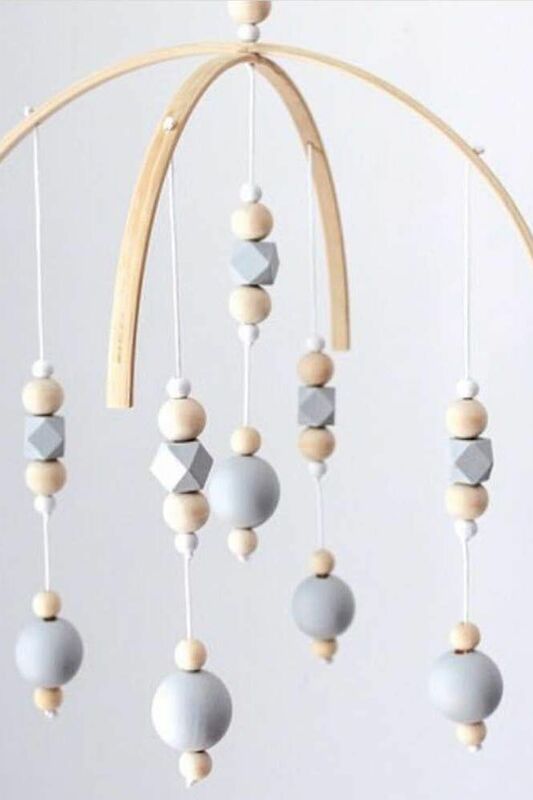 This mobile has wooden, geometric beads. 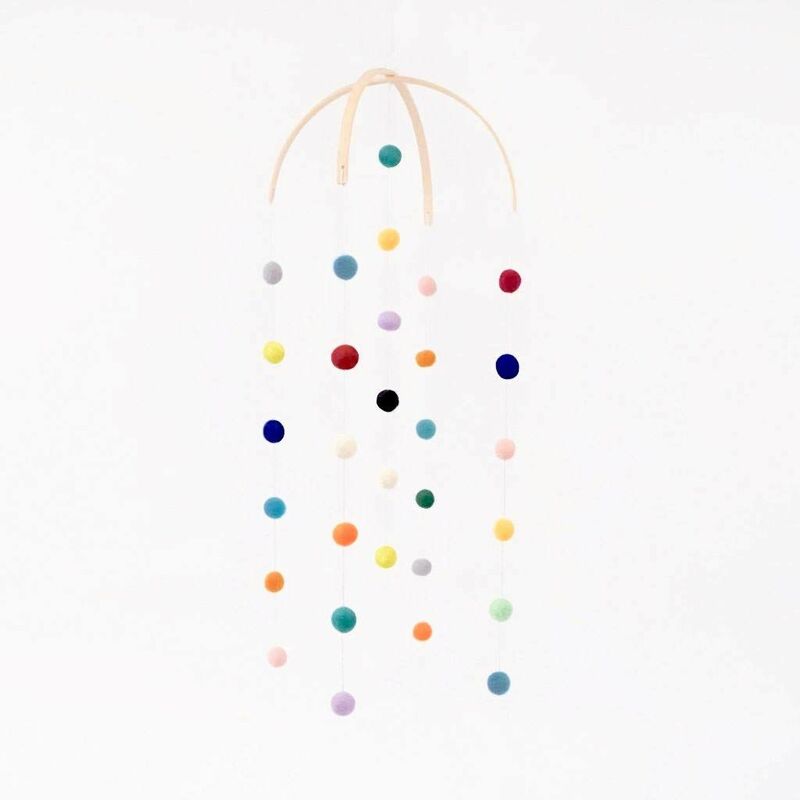 Another mobile; this one has pretty felt wool balls! 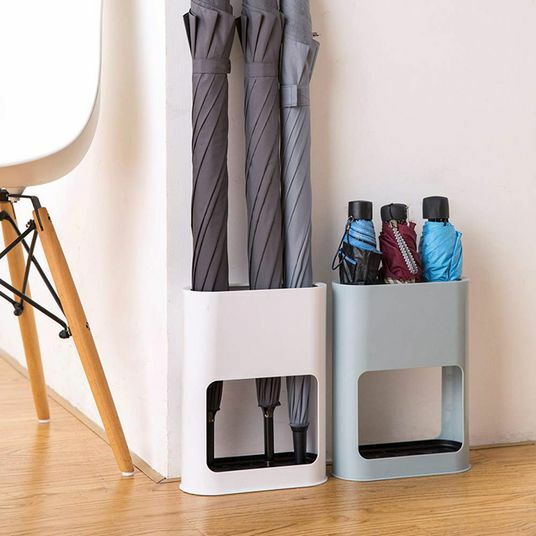 A book rack to keep your Dr. Seuss collection organized and displayed. 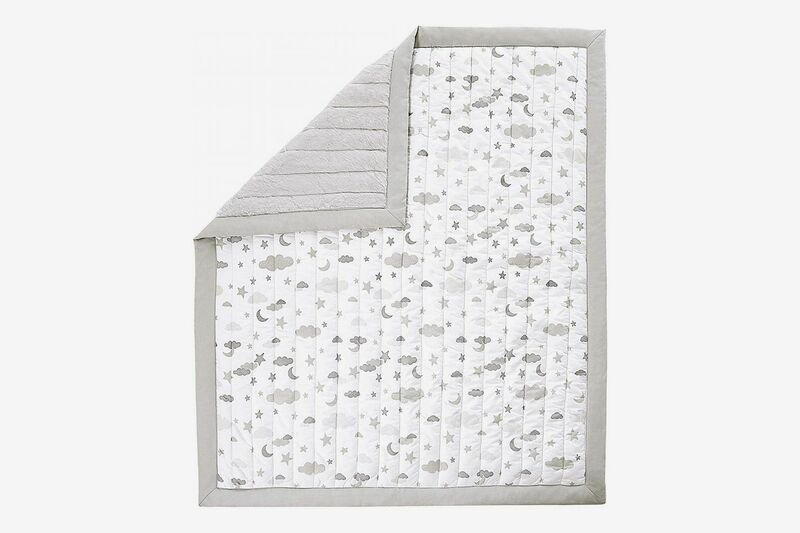 A super soft blanket for your baby. 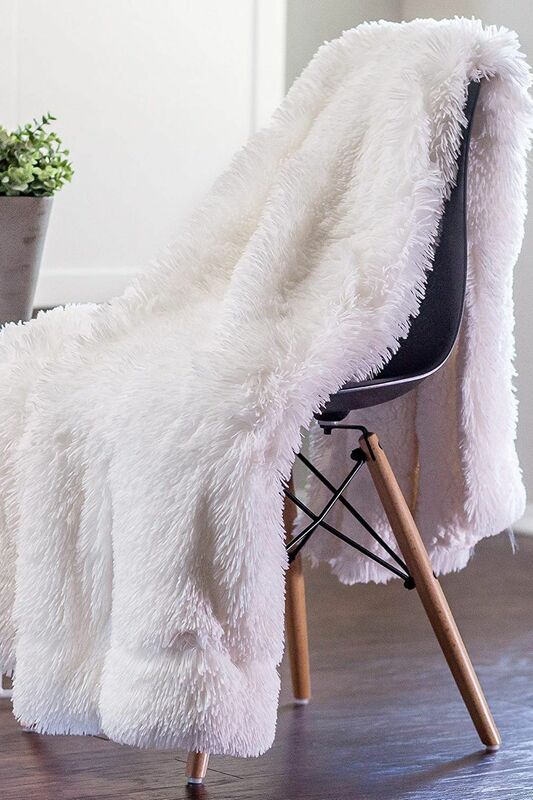 And a cozy blanket for you, too. 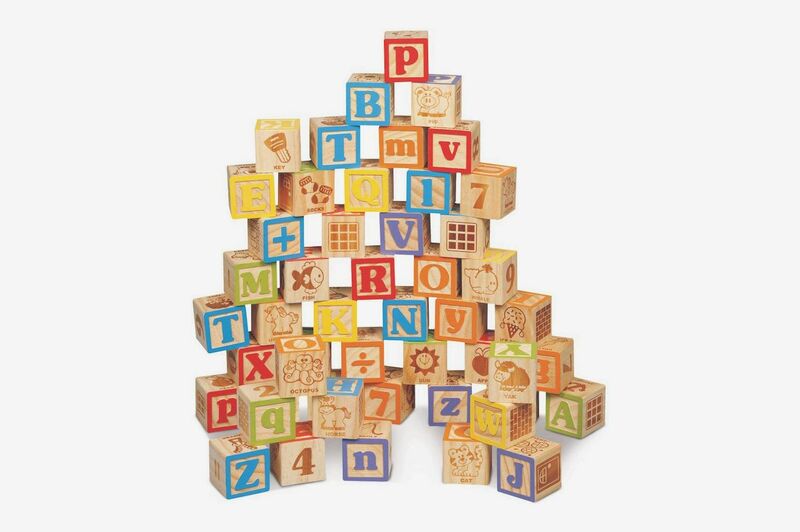 These blocks are even better as decoration (we recommend spelling out your baby’s name) than they are as toys. 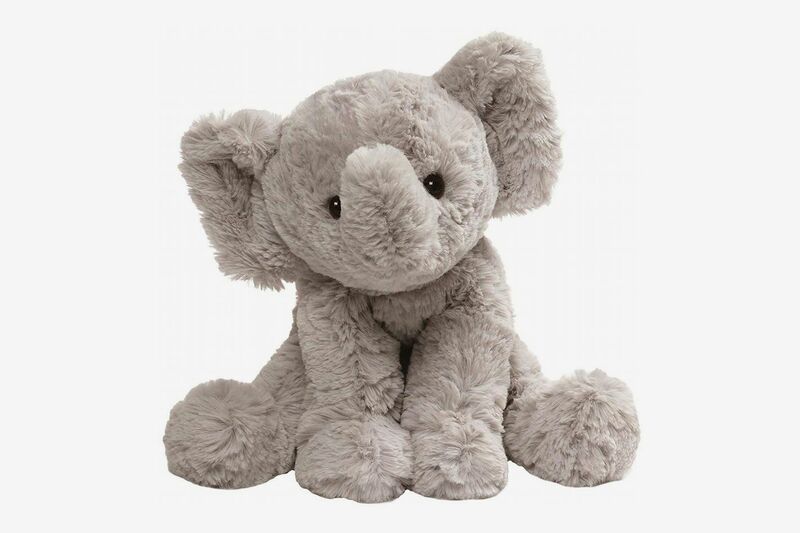 An adorable new friend for your baby. 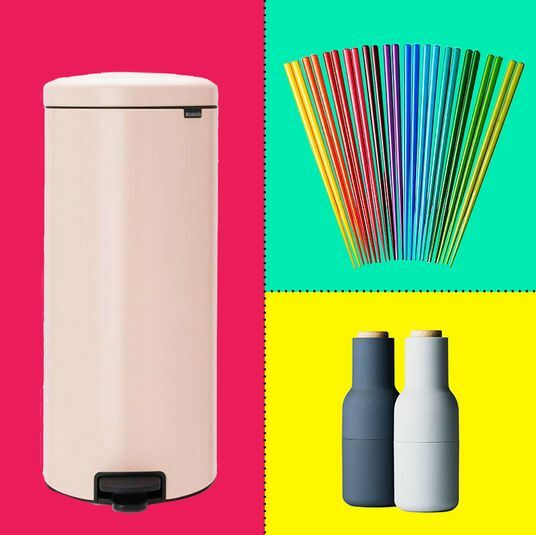 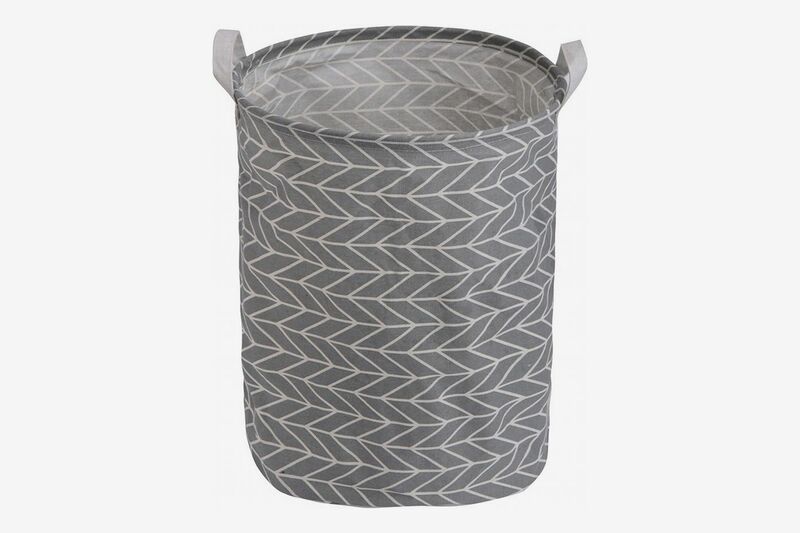 A foldable laundry basket with a graphic print. 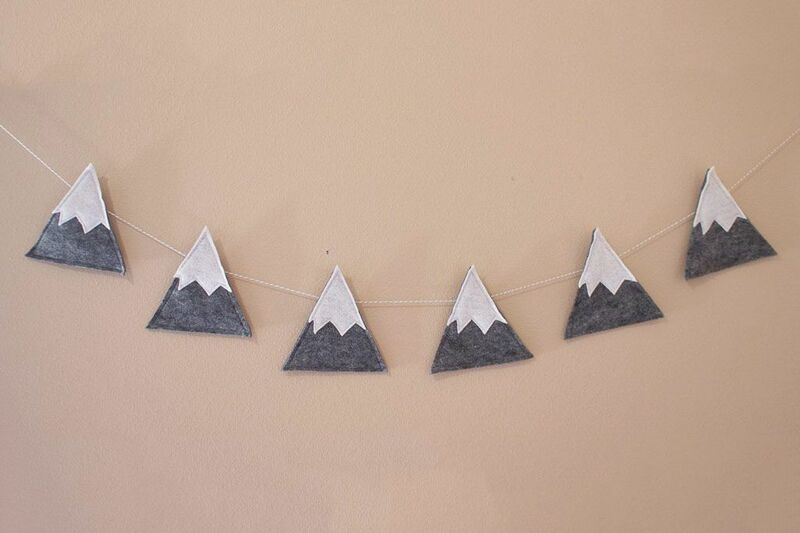 Keep it rustic with this Wes Anderson–esque mountain banner. 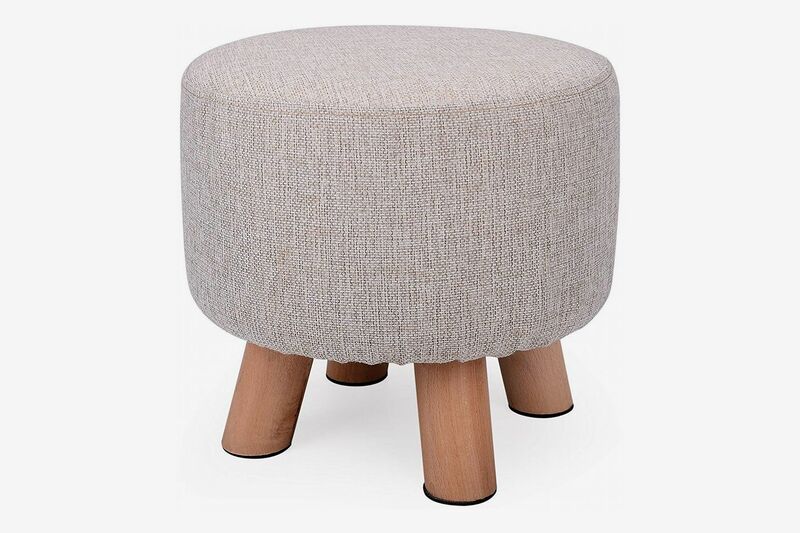 A very charming, squat little stool. 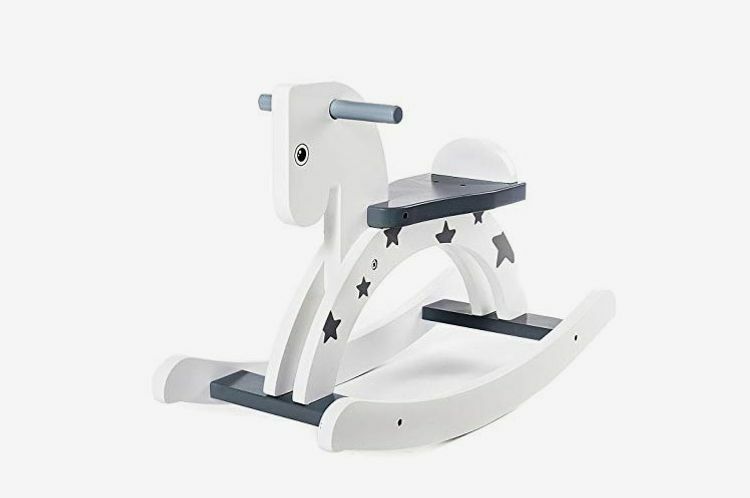 Add a little Western flare to your nursery. 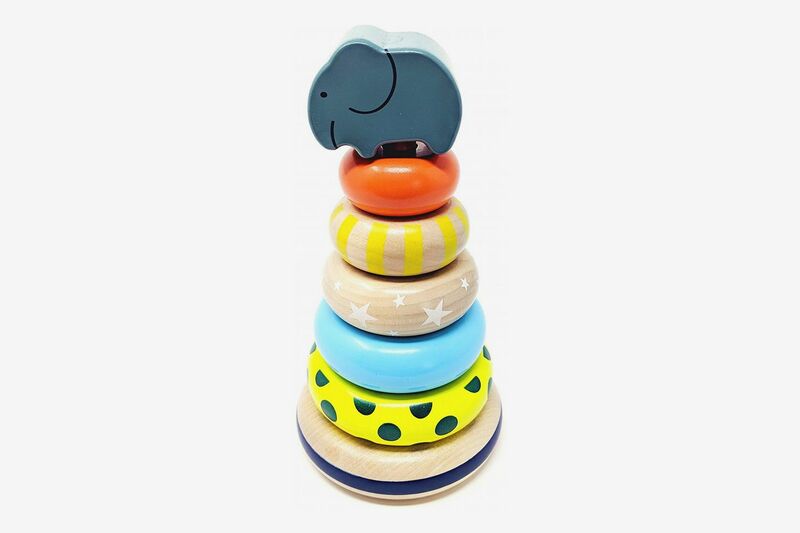 An old-school wooden toy that would look great on a dresser. 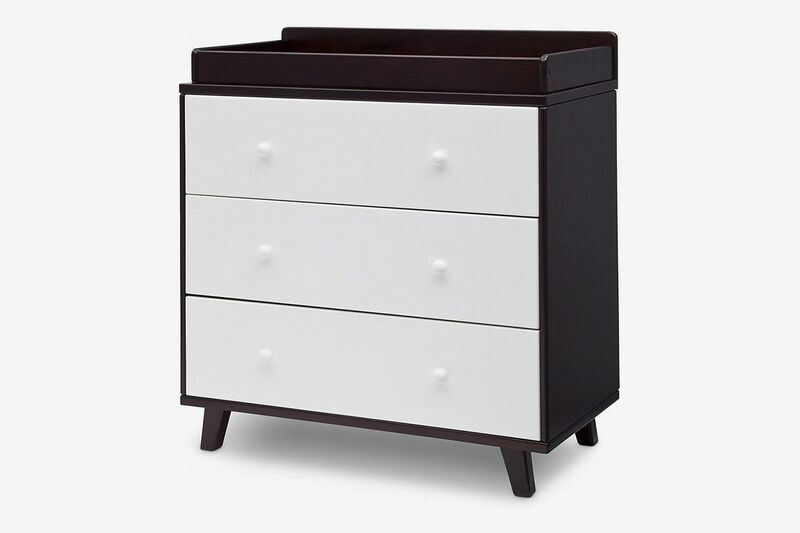 This six-drawer dresser has enough space for all of your baby’s onesies, socks, and pajamas. 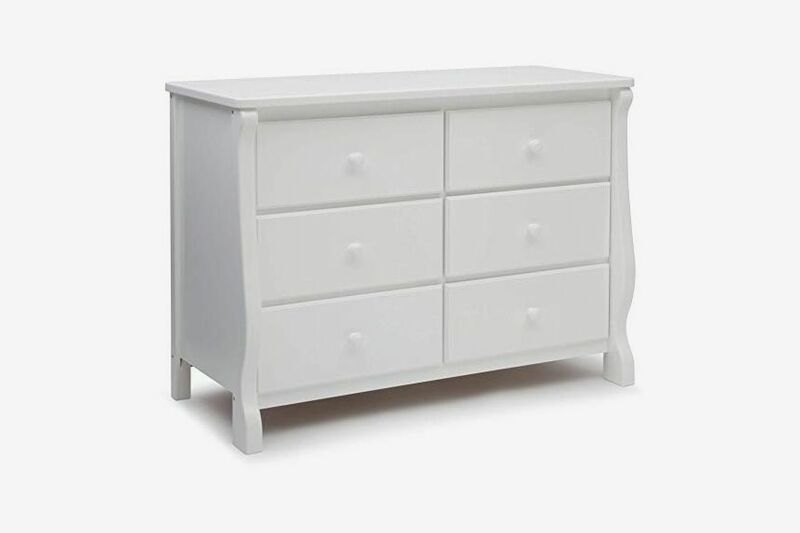 This simple dresser has a changing table on top. 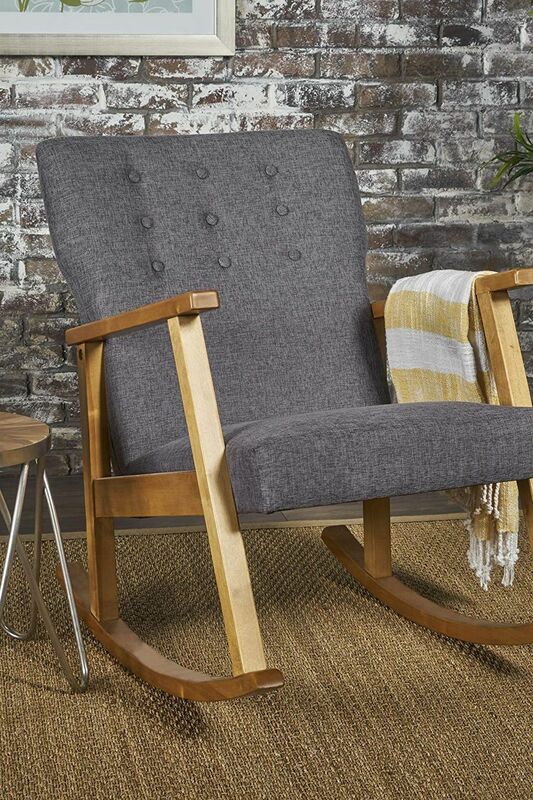 Handcrafted in Peru using actual alpaca fur. 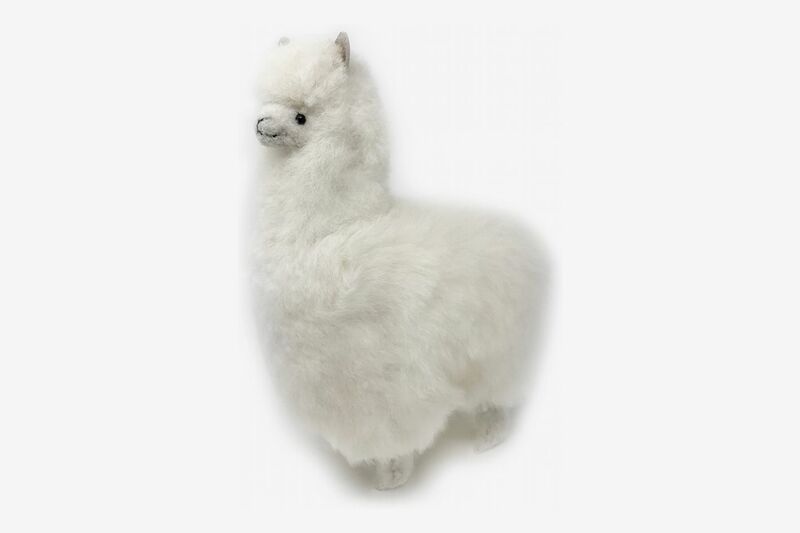 But don’t worry: no alpacas were harmed in the making of this toy.